The majority of rum comes from distilling fermented molasses, a byproduct from the manufacturing of crystallized cane sugar. One of the major exceptions to this is rhum agricole, a tightly controlled product manufactured in the French territories from fresh pressed, free-running sugar cane juice. Rhum agricole is one of the only rums in the world to be governed by an AOC (Appellation d’Origine Controlle, the French official label of origin). The AOC for rhum agricole dictates explicitly how the spirit can be made, including the mandate only to harvest sugar cane in the dry season, prevention of burning of the cane fields, a requirement to press sugar cane into cane juice within three days of harvest, and the use of the creole still. Molasses-based rums are often defined by a fairly sweet, vanilla flavor profile. Sugar cane is in the grass family and that fact is clearly reflected by the taste profile of rhum agricole, which is defined by sweet grassy notes. Martinique, the epicenter for rhum agricole, has a wide variety of microclimates whose varied terroir is clearly expressed through the different rhums on the island. Martinique has exposure to both the Caribbean Sea as well as the Atlantic Ocean and is home to Mount Pelee, a volcano which greatly impacts the soil on the northern part of the island. Rhum agricole really found its legs during the first World War when it was used for rum rations for troops in Europe. With key markets closed off to cognac during WWI, the French turned to rhum agricole to fill the gap. The number of producers of rhum agricole have shrunk over the years: in 1950, there were over 150 producers, whereas now there are only 11 which have AOC designation. While not all the producers of rhum agricole export their products to the United States, a number of fantastic rhums do make it onto our shores including Clement, Rhum J.M., La Favorite, Neisson, and St. James. 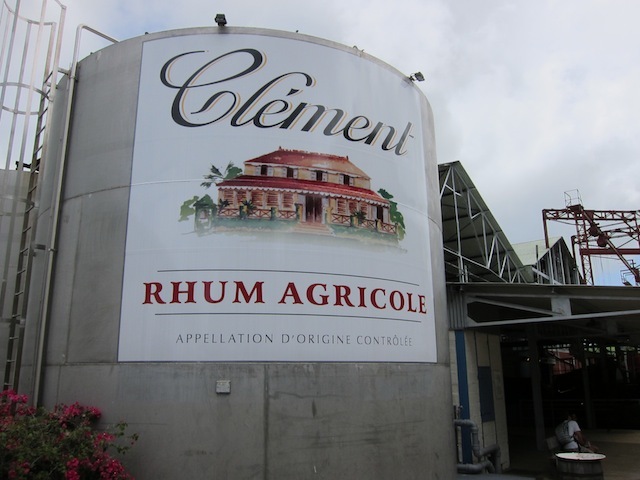 Rhum Clement is significant in the rhum agricole space. It was the first black-owned distillery in Martinique (bought in 1923 by Homere Clement). It was also one of the first distilleries to actively advertise and promote their products and the spirit category on television and radio abroad. Clement ages their rhum in a combination of ex-bourbon barrels and new French Limousine oak casks. Clement offers a wide range of aged rhum including a 3, 4, 6, and 10 year rhum along with a blend that is superb. Perhaps the standout of the bunch is Clement’s 4 year VSOP product which brings together elements which are reminiscent of cognac with the grassy agricole rhum. 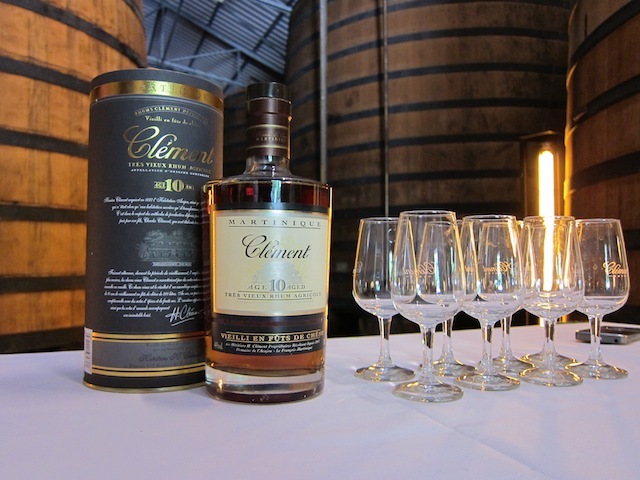 Clement’s 10 year release is also notable as a perfect cigar rhum – the citrus spice and smoky notes pair perfectly with a robust cigar. Rhum JM is one of the oldest operating distilleries, nestled in the mountains of northern Martinique on the back side of Mount Pelee, a volcano that wrecked havoc and transformed this part of the island. 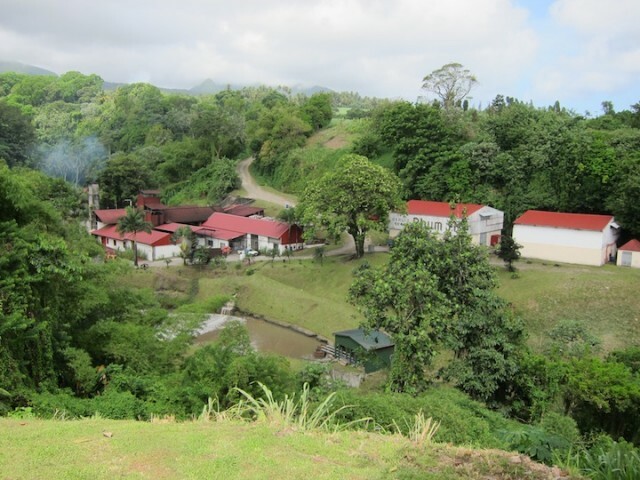 Because of the elevation, the sugar cane grown at Rhum JM has a distinct character. Arid volcanic soil combined with damp sea air create a sugar cane that grows like wildfire but with a lower sugar content than in the lower elevations. Rhum JM is also in the banana business and grows bananas in fields alongside the sugar cane. 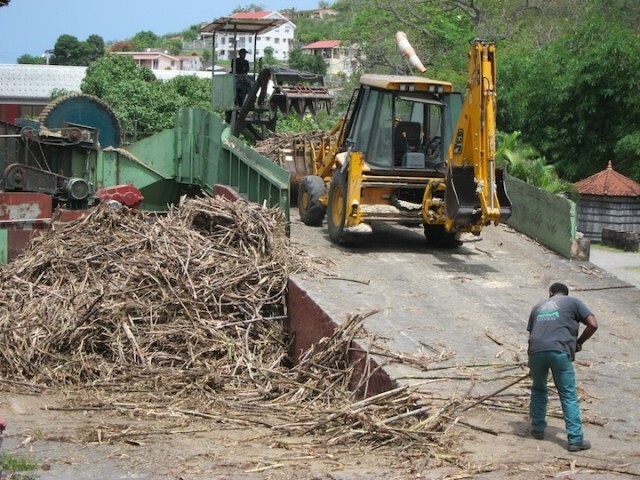 The AOC for rhum agricole dictates pressing the sugar cane within three days of harvesting, but Rhum JM goes further and all sugar cane is pressed the same day it is harvested (sometimes within an hour). JM also distinguishes itself by using natural spring water from Mt. Pelee which is naturally filtered through volcanic soil. 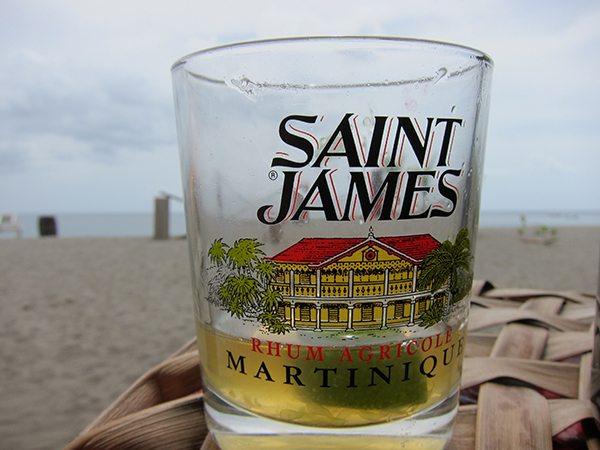 While JM is well known for their white rhum in the United States, their aged rum is revered in Martinique as being one of the best. Rhum JM produces a 6 year old XO rhum, a 10 year 2001 rhum, and a 15 year 1999 rhum. The standout of the lot is the 15 year 1999 rhum, which blends tropical fruit notes, ginger, caramel, banana, oak, black pepper, and orange peel. The 1999 is soft and elegant with a long, spicy finish – it’s simply spectacular. Neisson is highly revered for their white rhum agricole, which is one of the best produced on the island of Martinique. Family run, Neisson’s fate was in doubt when owner Jean Neisson passed away in 1986 with no heir ready to assume the task of running the distillery. Jean’s daughter Claudine, a hospital physician, stepped up and assumed her father’s role. Neisson has seen great success since with an artisan process that is reflected in their product. 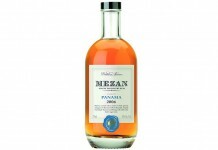 Neisson uses sugar cane from sixteen different farms, each pressed, fermented, and distilled separately. Neisson has an extra long fermentation process that lasts three days, a full day longer than most of the other distilleries on the island. They also use a special yeast brought in from Brazil. Neisson sets aside 15-20% of each year’s production which they use to blend back to maintain consistency; conversely, 25% of Neisson’s production doesn’t meet their excruciatingly high standards and is sold in bulk to other brands. Neisson also uses a unique Savalle Creole still which was hand built and made entirely of copper. While Neisson does some amazing aged rhum, it’s their white rhum that is truly spectacular. Soft, sweet, and grassy with lovely complexity, it is so well crafted that it’s hard to believe it’s 100 proof. La Favorite is known in the United states for their Coeur de Canne Rhum and has perhaps the most rustic operational distilleries on the island. 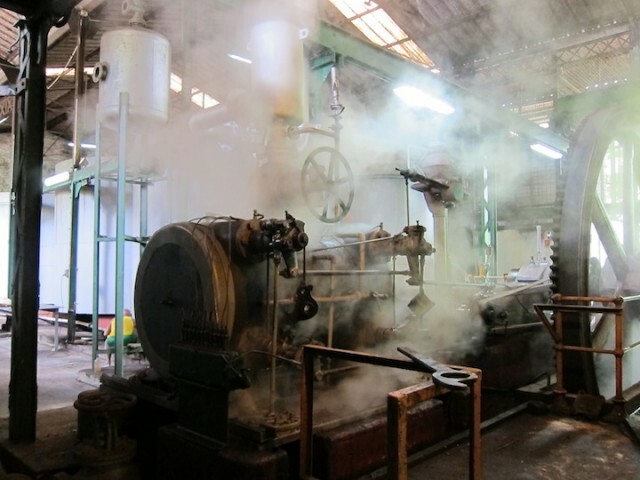 The distillery is run entirely on steam power from burning bagasse, the leftovers from the sugar cane extraction process. La Favorite is the funkiest of the Martinique rhum agricole with deep grassy notes that jump out of the glass. While extremely difficult to get in the States, La Favorite produces some of the best aged rhum in the world. 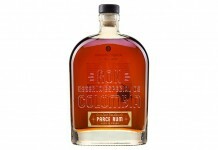 The Cuvee Speciale de Cavistes 1991 is a twenty year old rhum agricole aged in a combination of ex-bourbon and ex-whiskey barrels. The angel’s share in Martinique is so extreme that it takes over 90 barrels to produce just a handful of this age of rhum. The Cavistes beautifully balances deep raisin notes, cinnamon spice, and light grassy tones. La Favorite’s ability to balance out the oak in this old of a rhum is amazing. The crown jewel of the La Favorite family is the Cuvee Speciale de la Flibuste, a thirty year rhum that represents some of the best that aged rhum has to offer. Deep, round, and infinitely complex, the Flibuste is entrancing with candied orange, ginger, black pepper, raisin, tropical fruit, and oak spice, and an exceptional finish. The opportunity in the United States for rhum agricole is immense. The spirit is still emerging but with an enthusiastic following. With AOC designation, rhum agricole has the same kind of seal of quality that goes along with revered spirits like cognac. In its aged form, rhum agricole has many elements which appeal to whiskey drinkers, but delivered in a way that’s softer and more approachable. The ambassador for rhum agricole is the Ti-Punch, a drink that lives somewhere between a shot and a cocktail, with the capacity to put this wonderful spirit in front of a new generation of imbibers. Add lime and sugar into a small glass and allow them to intermingle, add rhum and swizzle. Ice is optional but recommended. Creole Shrub, available in the US from Rhum Clement, is made by macerating oranges and spices in Rhum Agricole and then adding sugar to make it into a liquor. 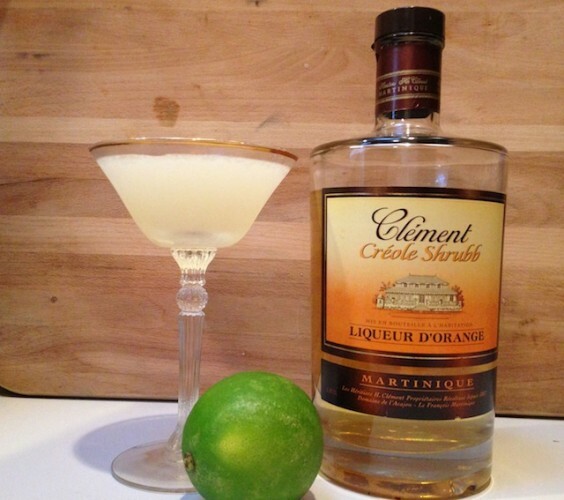 It’s also one of only two ingredients in one of the easiest cocktails in the world to make: The Orange Daiquiri. Shake ingredients with ice and then strain into a chilled cocktail coupe. No one will ever believe you that this cocktail has only 2 ingredients!